For over 30 years, PortaFab has been helping organizations with all of their clean room and environmental control needs. Our staff of design consultants work with architects and general contractors to deliver functional and cost-effective solutions, resulting in a smooth and quick cleanroom construction process. Recognizing the step by step process involved in even the smallest cleanroom project can help focus attention in a manner that will result in a successful project. The schedule of a well-conceived project will include needs assessment, front-end planning and preliminary design. It is important that project progress is measured against an overall schedule and not just by the speed with which the bricks and mortar are installed. Read more about our cleanroom construction process. Also review our article on selecting the right cleanroom construction materials. 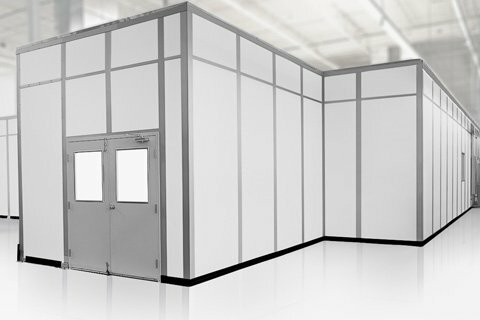 Whether you need to build a Class 1 environment for nano-technology research, or a temperature-controlled enclosure to protect delicate machinery or processes, PortaFab has over 35 years of modular cleanroom construction and design expertise. Featuring a complete line of modular clean room systems and interchangeable components, we can offer a custom solution for your cleanroom application. 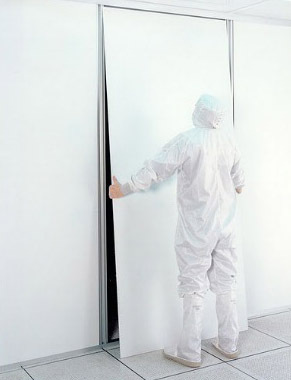 Read about particular design considerations when constructing a clean room. Although modular walls are more expensive up-front, costs can be offset by the savings achieved through greater productivity, resulting in a lower lifetime cost compared to traditional construction. Read more about the advantages of modular construction. With over 30 years serving the cleanroom industry, PortaFab’s CleanLine system simplifies cleanroom construction by using pre-engineered modular components to streamline design, reduce costs and provide ongoing flexibility. Learn more about our versatile CleanLine product line. Project scope, design requirements, manufacturing processes, and construction schedule are all factors in the consideration and selection of construction materials for cleanroom environments. Featuring the industry’s most complete line of architectural cleanroom components, PortaFab provides ultimate design freedom combined with the on-site expertise of today’s top modular cleanroom contractors. Read more about our Modular Cleanroom Systems, request a cleanroom quote, or find a cleanroom contractornear you to begin your next cleanroom construction project.